Your triceps consist of three heads; the long. lateral, and medial head. The three heads all join and reattach at your ulna. All three heads of your triceps are made up of unique muscle fibers. The main purpose of your triceps is to extend your elbow. Because the triceps goes across the elbow joint, it has the ability to adjust your arm at the elbow joint. In addition, the long head begins at your shoulder blade. 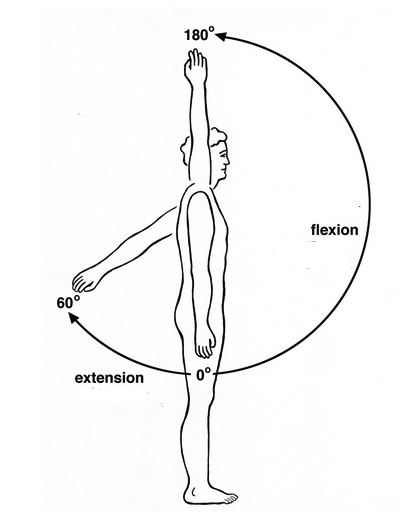 Because of this, the long head not only adducts your arm, but also assists in shoulder extension. Because your triceps’ heads are made up of both Type I and Type II muscle fibers, it is crucial to do triceps training with both low-weight, high reps and high-weight, low reps if you want to see maximum gains. Because your elbows can incur some injury and stress from isolation exercises (example: skull crushers), you are most likely better off using compound exercises to train your triceps while doing heavy weight, low reps. Here are two popular compound tricep exercises that work well with low-reps, heavy weight. For close grip bench press, the less space between your hands, the more you will exercise your triceps. The ideal spacing is just a little under your shoulder width. Any closer won’t increase the amount your triceps are exercised and might cause unnecessary stress on your wrists. While performing weighted dips, make sure to keep yourself upright. Your upright position will keep the exercise focused on activating your triceps. If you lean forward, you will begin to shift the exercise’s focus from your triceps to your chest. While doing high reps, you will benefit from performing isolation exercises. Here are three great isolation triceps exercises. To get the most out of skull crushers, try to let your elbows move backwards as you approach the bottom. As you return the weight back up, return your elbows to the normal portion. This will get your shoulder extension going and train your triceps’ long heads. You can see a demonstration of this technique by Mark Rippetoe here. Cable rope pushdowns will primarily exercise your lateral head. Overhead extensions will exercise your long head. Going back to range of motion, it is preferable to use cable rope for pushdowns. If you are doing pushdowns with a bar, you will max out your range of motion due to your legs being in the way at the bottom of the movement. Using a cable rope, you can add a shoulder extension at the bottom of the exercise. This is because shoulder extension happens when you humerus, or upper arms, are behind the body. Bar pushdowns prohibit your upper arm from being behind your body. When you use a cable, you can fully contract your triceps by not only extending your elbow, but by also slightly extending your shoulder due to your arms staying behind your body at the bottom of the movement. Watch this video of bodybuilder Ben Pakulski explaining pushdown proper form and movement. Be sure to do a large variation of reps and weights so that you train both the type I and type II fibers in the triceps.